June | 2013 | How Did They Do It? Margaret Thatcher’s longest serving cabinet minister is well-known for the resignation speech many cite as having prompted her downfall but the majority of his ministerial career bears the hallmarks of a constructive working relationship that Howe characterises as having been “like a marriage”. 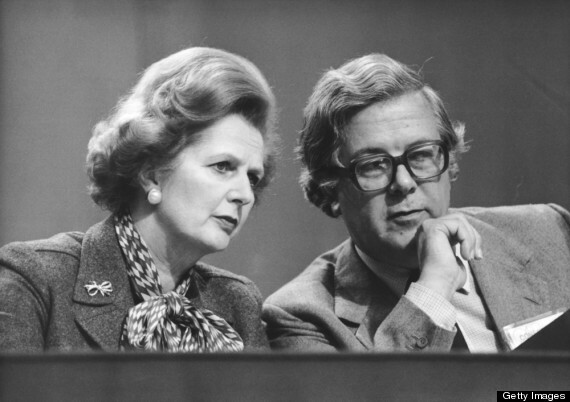 He first worked with Thatcher while she was Secretary of State for Education under Ted Heath and attributes the longevity of their careers to shared ideals and a mutual appreciation of the other’s abilities. Howe became Chancellor of Exchequer during a time of extreme economic uncertainty in Britain, overseeing the radical 1981 Budget that some credit with having brought Britain out of the gloom of the 1970s and cementing the monetarist policies that remained central to successive Budgets thereafter. It’s one of the most important roles in British diplomacy, overseeing the administration of a group of islands 8000 miles away in the South Atlantic. It’s a role steeped in history, the first Governor took office in 1843, beginning of a period of continuous British oversight that was only interrupted in 1982 during the 74 days of Argentine occupation. Today the Governor has a very modern remit, set out in a series of continually updated acts of Parliament relating to the British Overseas Territories, but it is the tension with Argentina that still generates the greatest amount of attention in the islands. Nigel’s career in the Foreign Office began after three years in the Army. He has since served in Israel, Lebanon, Iraq, Austria and Hungary. Between 2003 and 2008 he was UK Ambassador to Estonia and later Consul-General, Basra. He became Governor in 2010 as well as Commissioner for the South Georgia and South Sandwich Islands, a group of uninhabited islands in the South Atlantic with a total area of roughly 1,500 square miles. During his time on the Falkland Islands, provocations from Argentina’s government, led by Christina Fernandez, have often made headline news. The son of two immigrants, his mother was from Belgium and his father was from Calcutta, David Abraham grew up in rural Lincolnshire and Essex and went on to study History at Magdalen College, Oxford. Amazingly, David’s application to study television at postgraduate level was turned down by Middlesex Polytechnic and he started a career in advertising after a friend suggested the industry might also provide him with the opportunity to be involved in creative work.